I have added some new portraits of Kit Harington to the gallery so, you can go there to take a look and enjoy the photos! If you like the updates and want to help this site to get all the stuff and keep online, please, feel free to go here to donate. Every little bit helps and will be used to get awesome stuff. Tom Hiddleston, Kit Harington and Kristin Scott Thomas will be among the star-studded cast taking part in a one-off charity gala celebrating the life and work of Harold Pinter. As part of the Pinter at the Pinter season, showing all of the Nobel Prize-winning playwright’s one-act plays, Happy Birthday, Harold takes place on October 10, which would have been his 88th birthday. Hiddleston, Harington and Scott Thomas will be joined by Indira Varma, Simon Russell Beale, Jon Snow, Felicity Kendal, Frances de la Tour, Samuel West, Sheila Hancock, Zawe Ashton, Gawn Grainger and Jade Anouka. Also joining the stage are the company from the Pinter at the Pinter season including Lee Evans, David Suchet, Tamsin Greig, John Simm and Russell Tovey. Happy Birthday, Harold is in aid of Amnesty International and Chance to Shine, two of Pinter’s favourite charities. Over the course of an hour, the British actor will be discussing life on Thrones as well as his new role stage in Pulitzer Prize-winner Sam Shepard’s True West, which runs in the West End from November through February. Starring alongside Johnny Flynn (Lovesick, Beast), it is production which promises to show a side of Harington that we’ve never seen before. Harington, of course, is no stranger to the stage having first cut his teeth in the National Theatre’s War Horse, and he’ll be discussing each stage of his remarkable career so far in what promises to be a unique opportunity for fans. I have added some movie stills of Kit Harington‘s new film, The Death and Life of John F. Donovan. You can go to the gallery to take a look to the photos. A few new scans of Kit Harington have been added to the gallery so, go there and enjoy! Kit Harington is returning to the West End in the autumn after a two-year break. The actor, will play a strait-laced Hollywood screenwriter in True West, by Sam Shepard, at the Vaudeville Theatre from November. Rising star Johnny Flynn will play his unstable elder brother. Previously Harington was in Doctor Faustus at the Duke of York’s. The production will be directed by Matthew Dunster, who directed Martin McDonagh’s hit play Hangmen, which also starred Flynn. Currently filming the final scenes of Game Of Thrones, he told the Daily Mail that his role of Jon Snow had “whipped away” his chance of a theatre career. 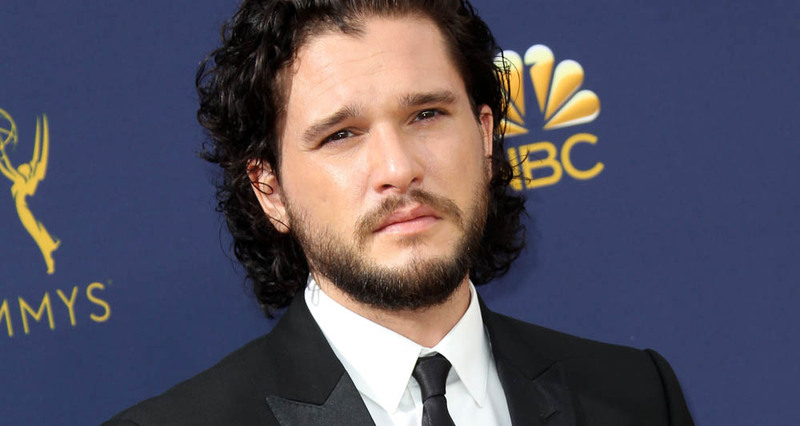 Kit Harington attends the 70th Emmy Awards at Microsoft Theater on September 17, 2018 in Los Angeles. You can go to the gallery to take a look to the photos. I have added a new portrait of Kit Harington to the gallery. Please, credit this site if you take the photos. Kit Harington attends the ‘The Death And Life Of John F. Donovan’ premiere during 2018 Toronto International Film Festival at Winter Garden Theatre on September 10, 2018 in Toronto. You can go to the gallery to take a look to the photos. Remember, if you like the updates and want to help this site to get everything on Kit and keep alive, please, feel free to go here to donate. Every little bit helps. I have added some new photos of Kit Harington at the Toronto International Film Festival. Please, credit this site if you take the pics.